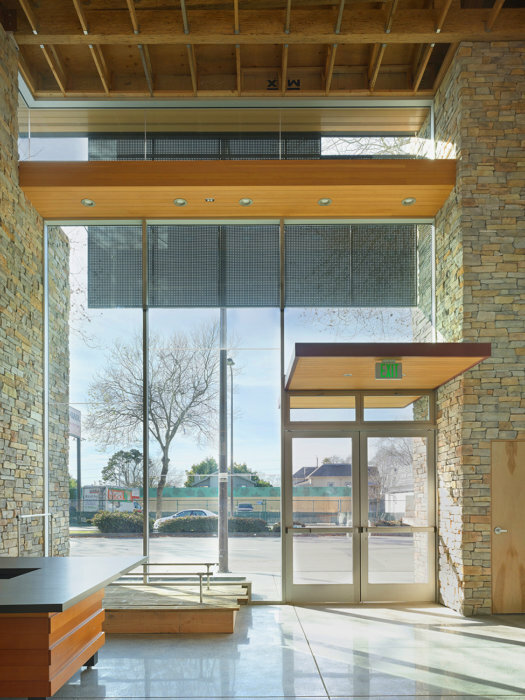 Designed to fill a hole in the urban fabric along a major retail corridor in Berkeley, this 3,125 SF retail building is a simple, careful composition of stone, brick, wood, glass and steel. At only 25 feet wide, the narrowness of the site presented a risk of the tunnel effect – light in the front with dark deep recesses. This was addressed by lifting the building well above the neighboring building and introducing a ribbon of south-facing clerestory windows. 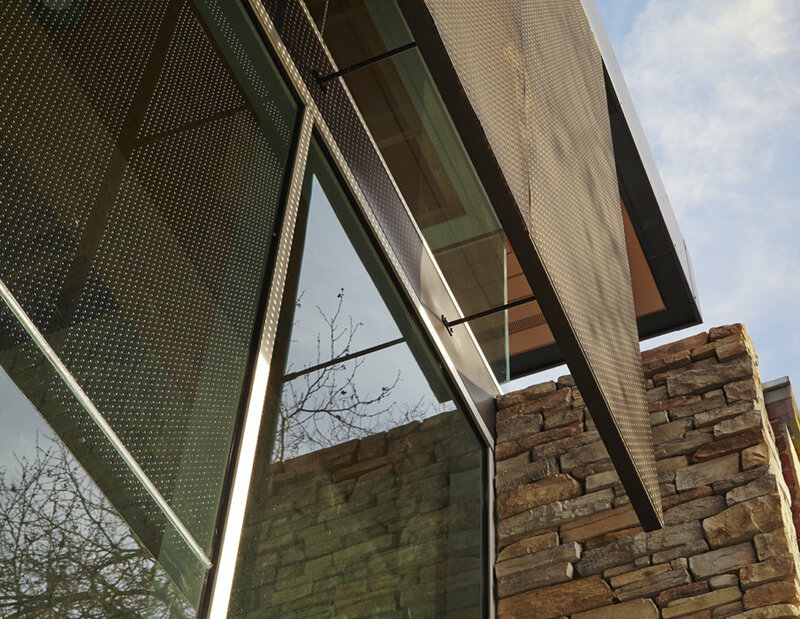 The sheer glass treatment was carried to the west-facing front where a perforated panel was provided to soften harsh western light. The tall glazing is contrasted with flanking stone columns and accented by a deep red steel awning that floats between the exterior and interior spaces. 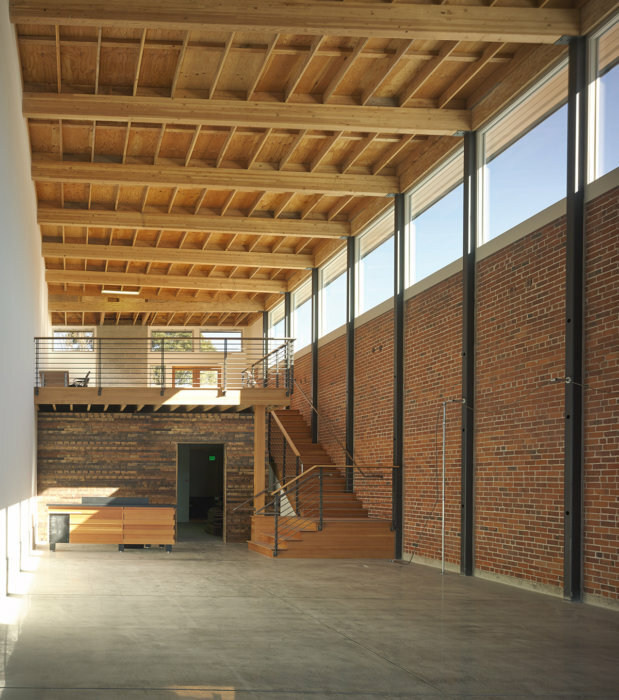 The project won a Berkeley Design Advocates Award in 2012.